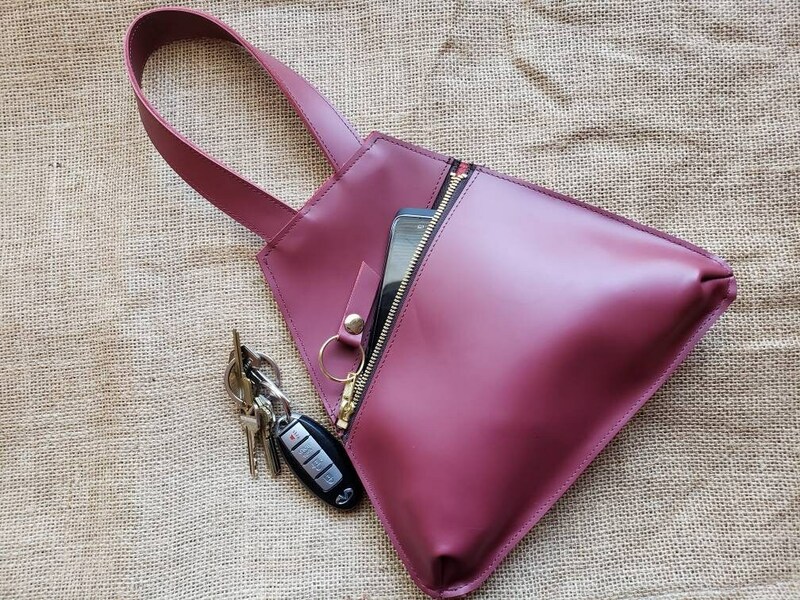 This solidly assembled wristlet fits comfortably and stylishly on your wrist. Made of genuine leather with a metal zip closure and a 5" leather wrist strap. 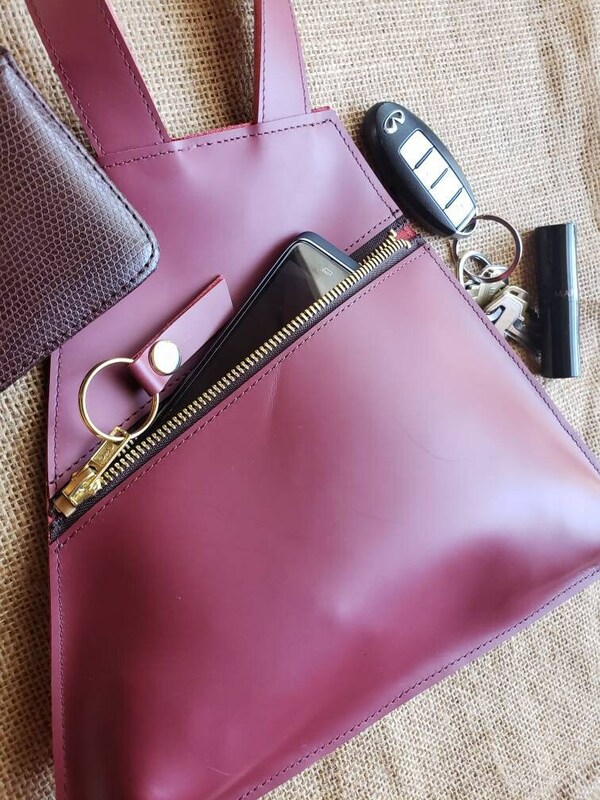 Assembled with the minimalist in mind, the wristlet comfortably holds a small card wallet, medium size cell phone, car keys, and small makeup compact. Phelps by Pamala Phelps. 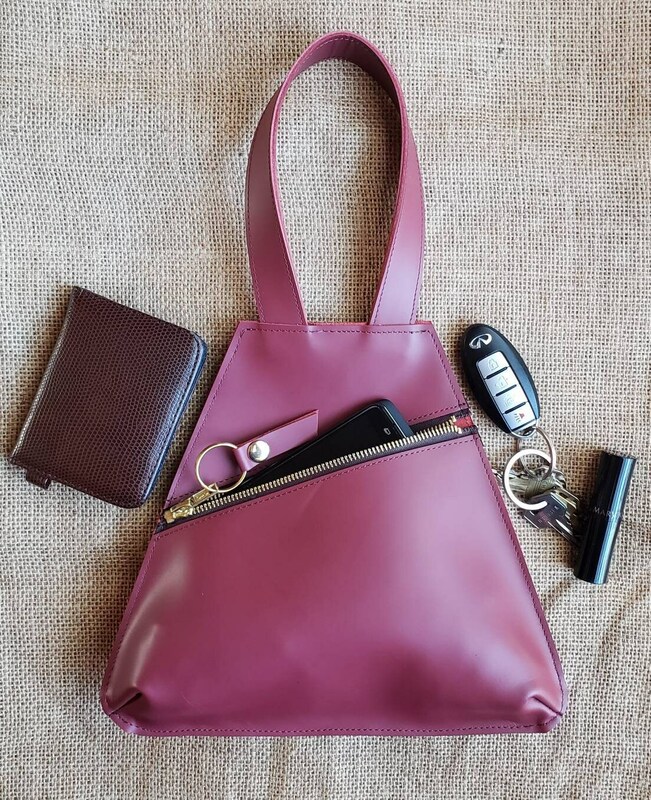 Classic Handmade Leather Wristlet, $65.00, available in custom colors. Have One Made In Your Favorite Color! Items are photographed in indoor and outdoor light as an attempt to depict it's true color(s).